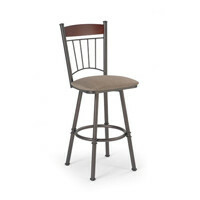 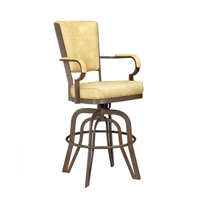 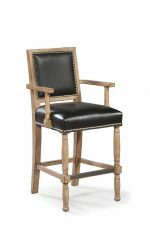 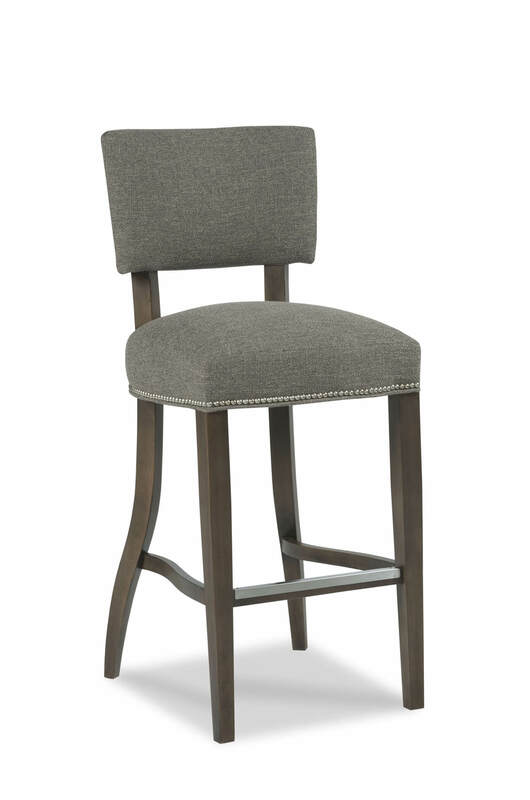 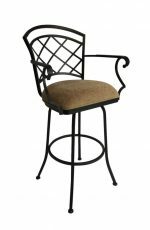 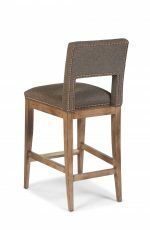 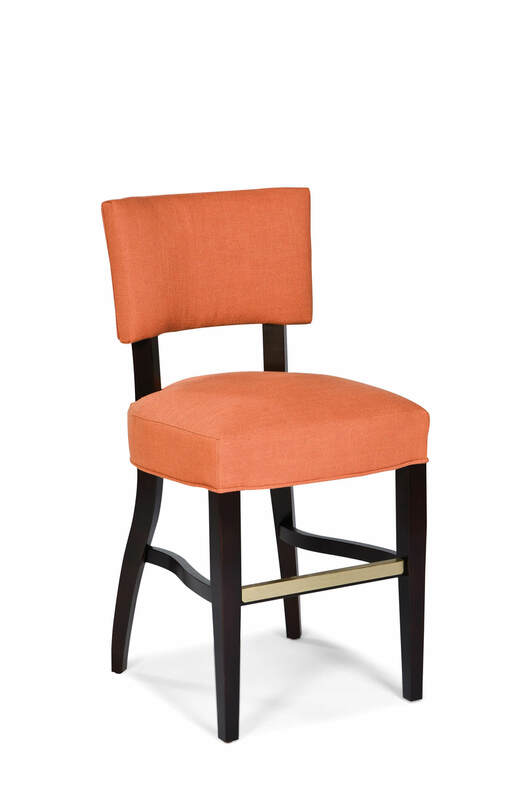 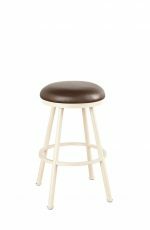 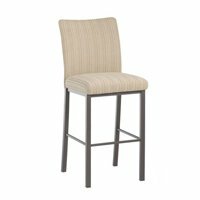 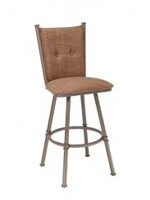 Buy Niles Elegant Upholstered Nailhead Wood Bar Stool - Free shipping! 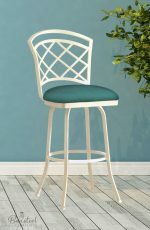 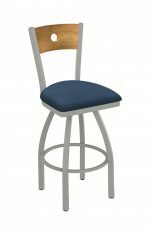 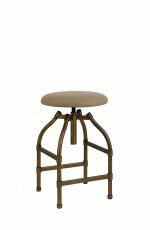 Sink into comfort with the Niles stool by Fairfield featuring an upholstered tall back and wide thick seat perched on a solid wood frame and metal footrest. 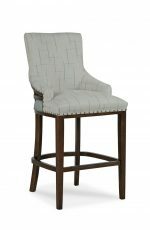 Nailhead trim outlines the seat and the slightly flared back legs both add a touch of elegance. 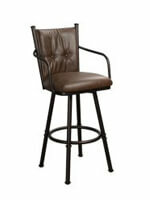 It’s the perfect place to rest your bum after a long day and when the couch is too far. 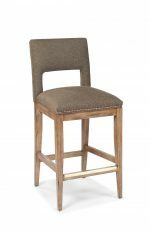 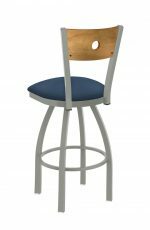 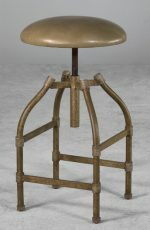 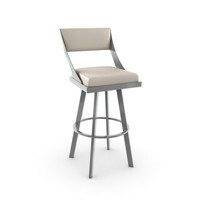 • For the Niles Upholstered Wooden Stool with Back, you will need 2 yards per chair.